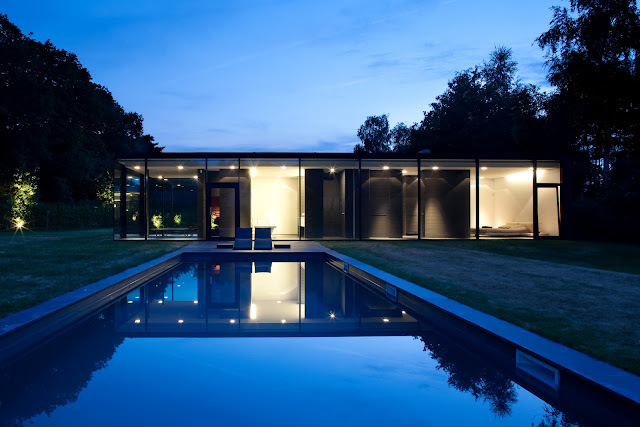 Drool alert! This ultra minimalist glass house is a modernist dream come true! What a gem... 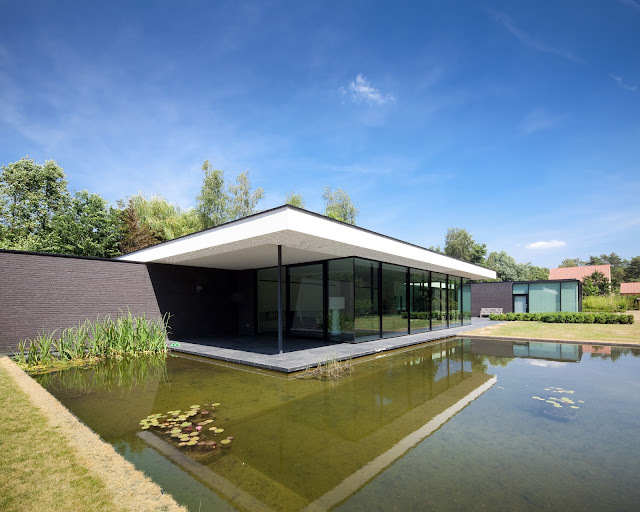 If you love the Barcelona Pavillion by Ludwig Mies van der Rohe, the Case Study Houses (Pierre Koenig's Case Study House #21) and the Philip Johnson Glass House, you will fall head over heels for this architectural masterpiece located in Belgium! 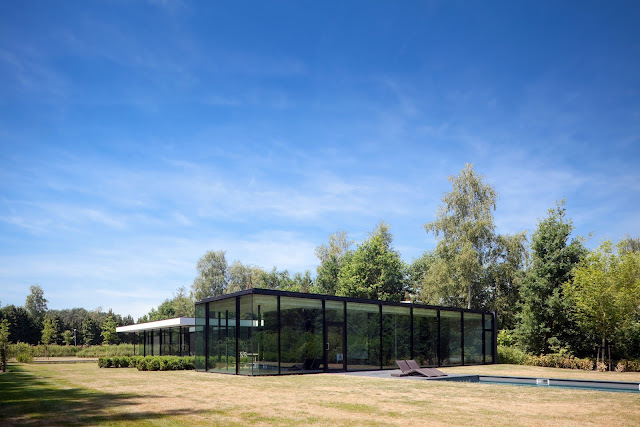 Designed by the Belgian firm HVH Architecten, this beautiful transparent glass house features clear lines, open spaces, glass curtain walls and a modernist patio in the manner of the Barcelona Pavillion, only smaller. 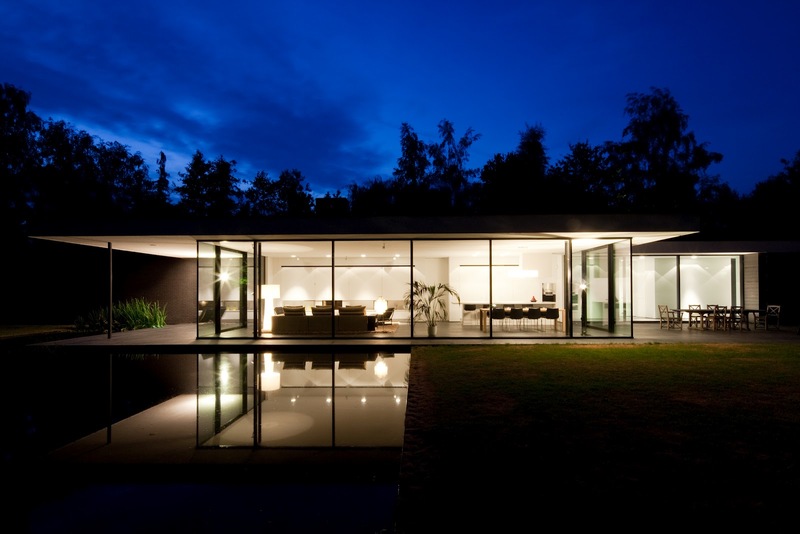 Landscape designed was by Patrick Verbruggen and the beautiful Julius Shulman-style images were taken by top-notch photographer Tim Van de Velde.